1960 BSA 650 Streetfighter Gold Flash BSA650 Twin fully restored and modified with modern Kawasaki front & rear ends. Complete Nut and Bolt restoration. Engine fully stripped and rebuilt at a cost of £1700. All Engine casings have been completely refurbished and polished where necessary. All nuts and bolts renewed or refurbished and Cadmium/Zinc plated. All framework sandblasted and powder coated in Black Gloss. Wheels and Swingarm sandblasted and powder coated in Gold. Seat unit and complete subframe are from a Sachs XTC 125 learner legal motorbike. 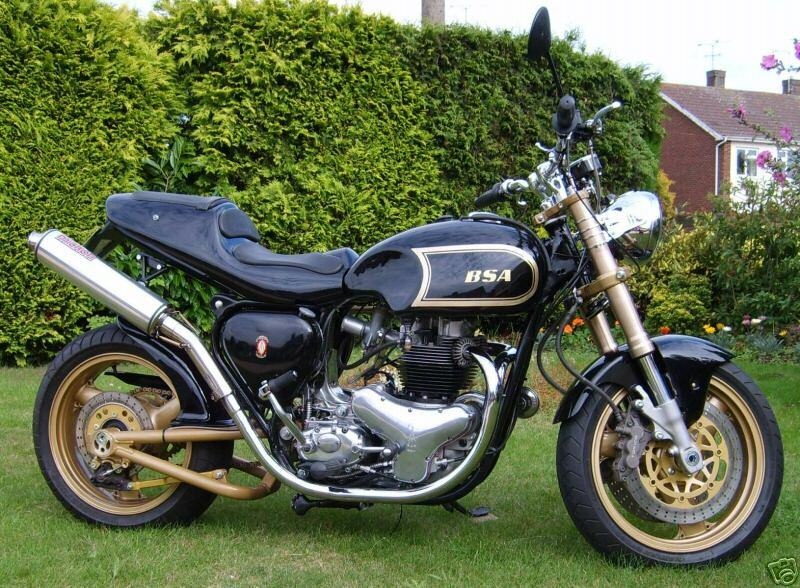 A great British classic motorbike with a modern twist. Rides like a dream. Small feature published in performance Bikes Magazine in Jan 07 in their 'Work in Progress' section.